The French and Italians can have their stinkin’ truffles. 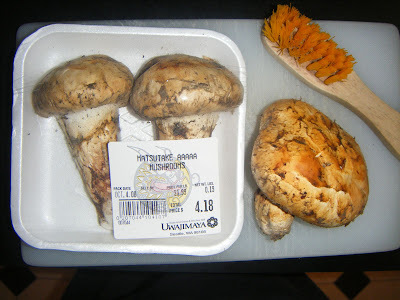 I’d much rather eat matsutake. Fond of pine and fir, this magical mushroom calls the forest floor of the Pacific Northwest home — and calls my name loud and clear this time of year. That’s because October is when Japanese chefs all over town are steeping fresh matsutake in a delicately seasoned broth, serving them with gingko nuts in a small teapotlike vessel. They call it matsutake dobin mushi. I call it an edible autumnal aromatherapy session. Attend the Puget Sound Mycological Society’s 45th Annual Wild Mushroom Exhibit — set for October 11th (noon till 7 p.m.) and 12th (10 a.m. to 5 p.m.) at the UW Botanical Gardens Center for Urban Horticulture. Mushroom experts will be on hand to answer your questions.